Editor’s note: Sven Demeulemeester and Niels Verborgh are sports lawyers at the Belgium law firm, Altius. In its 16 November 2018 judgment, the Court of Justice of the European Free Trade Association States (the EFTA Court) delivered its eagerly awaited ruling in the case involving Henrik Kristoffersen and the Norwegian Ski Federation (NSF). On 17 October 2016, Kristoffersen had taken the NSF to the Oslo District Court over the latter’s refusal to let the renowned alpine skier enter into a sponsorship with Red Bull. At stake were the commercial markings on his helmet and headgear in races organised under the NSF’s umbrella. The NSF refused this sponsorship because it had already granted the advertising on helmet and headgear to its own main sponsor, Telenor. Kristoffersen claimed before the Oslo District Court, that the NSF should be ordered to permit him to enter into an individual marketing contract with Red Bull. In the alternative, Kristoffersen claimed damages up to a maximum of NOK 15 million. By a letter of 25 September 2017, the Oslo District Court referred several legal questions to the EFTA Court in view of shedding light on the compatibility of the rules that the NSF had invoked with EEA law. Season 2 of #FootballLeaks is now underway since more than a week and already a significant number of episodes (all the articles published can be found on the European Investigative Collaborations’ website) covering various aspect of the (lack of) transnational regulation of football have been released (a short German documentary sums up pretty much the state of play). For me, as a legal scholar, this new series of revelations is an exciting opportunity to discuss in much more detail than usual various questions related to the operation of the transnational private regulations of football imposed by FIFA and UEFA (as we already did during the initial football leaks with our series of blogs on TPO in 2015/2016). Much of what has been unveiled was known or suspected by many, but the scope and precision of the documents published makes a difference. At last, the general public, as well as academics, can have certainty about the nature of various shady practices in the world of football. One key characteristic that explains the lack of information usually available is that football, like many international sports, is actually governed by private administrations (formally Swiss associations), which are not subject to the similar obligations in terms of transparency than public ones (e.g. access to document rules, systematic publication of decisions, etc.). In other words, it’s a total black box! The football leaks are offering a rare sneak peak into that box. Editor’s note: Stefano Bastianon is Associate Professor in EU Law and EU sports law at the University of Bergamo and lawyer admitted to the Busto Arsizio bar. He is also member of the IVth Division of the High Court of Sport Justice (Collegio di Garanzia dello sport) at the National Olympic Committee. Editor's note: Panagiotis Roumeliotis holds an LL.B. degree from National and Kapodistrian University of Athens, Greece and an LL.M. degree in European and International Tax Law from University of Luxembourg. He is qualified lawyer in Greece and is presently working as tax advisor with KPMG Luxembourg while pursuing, concomitantly, an LL.M. in International Sports Law at Sheffield Hallam University, England. His interest lies in the realm of tax and sports law. He may be contacted by e-mail at ‘p.roumeliotis@hotmail.com’. The landmark Bosman Ruling triggered the Europeanization of the labour market for football players by banning nationality quotas. In turn, in conjunction with the boom in TV revenues, this led to a flourishing transfer market in which players’ agents or intermediaries play a pivotal role, despite having a controversial reputation. As a preliminary remark, it is important to touch upon the fiduciary duty of sports agents towards their clients. The principal-agent relationship implies that the former employs the agent so as to secure the best employment and/or commercial opportunities. Conversely, the latter is expected to act in the interest of the player as their relationship should be predicated on trust and confidence, as much was made clear in the English Court of Appeal case of Imageview Management Ltd v. Kelvin Jack. Notably, agents are bound to exercise the utmost degree of good faith, honesty and loyalty towards the players. The editorial board of the International Sports Law Journal (ISLJ) is inviting you to submit abstracts for its second ISLJ Annual Conference on International Sports Law, which will take place on 25 and 26 October at the Asser Institute in The Hague. 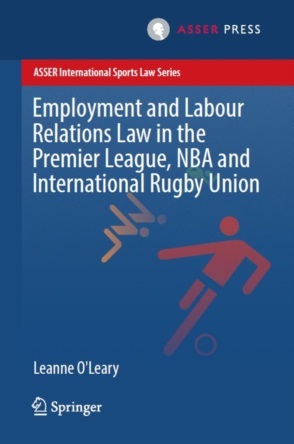 The ISLJ published by Springer in collaboration with Asser Press is the leading academic publication in the field of international sports law. Its readership includes academics and many practitioners active in the field. This call is open to researchers as well as practitioners. We are also delighted to announce that Prof. Franck Latty (Université Paris Nanterre), Prof. Margareta Baddeley (Université de Genève), and Silvia Schenk (member of FIFA’s Human Rights Advisory Board) have confirmed their participation as keynote speakers. Please send your abstract (no more than 300 words) and CV no later than 30 April 2018 to a.duval@asser.nl. Selected speakers will be informed by 15 May. The selected participants will be expected to submit a draft paper by 1 September 2018. All papers presented at the conference are eligible for publication in a special edition of the ISLJ. To be considered for inclusion in the conference edition of the journal, the final draft must be submitted for review by 15 December 2018. Submissions after this date will be considered for publication in later editions of the Journal. The Asser Institute will cover one night accommodation for the speakers and will provide a limited amount of travel grants (max. 300€). If you wish to be considered for a grant please justify your request in your submission. Editor's note: This report compiles all relevant news, events and materials on International and European Sports Law based on the daily coverage provided on our twitter feed @Sportslaw_asser. You are invited to complete this survey via the comments section below, feel free to add links to important cases, documents and articles we might have overlooked. On 8 December 2017, the European Commission announced that it had rendered a decision in the case against the International Skating Union (ISU). The Commission upheld the complaint lodged in October 2015 by two Dutch professional speed skaters Mark Tuitert and Niels Kerstholt, represented in this case by Ben Van Rompuy and Antoine Duval (you can read their joint statement here), and ruled that the ISU's eligibility rules preventing athletes from participating in speed skating competitions not approved by the ISU under the threat of severe penalties are in violation of EU competition law. In particular, the Commission held that these rules restrict the commercial freedom of (i) athletes who may be deprived of additional source of income as they are not allowed to participate in speed skating competitions other than those authorised by the ISU; and (ii) independent organisers who are unable to attract top athletes. And while the Commission recognised that sporting rules with restrictive effects might be compatible with EU law if they pursue a legitimate objective such as the protection of athletes' health and safety or the protection of the integrity and proper conduct of sport, it found that the ISU's eligibility rules pursue only its own commercial interests to the detriment of athletes and independent organisers of speed skating competitions. The ISU eventually escaped financial sanctions, but it must modify or abolish its eligibility rules within 90 days; otherwise it would be liable for non-compliance payments of up to 5% of its average daily turnover. For more information on this topic, we invite you to read our recent blog written by Professor Stefano Bastianon. The world has been waiting impatiently for the International Olympic Committee's (IOC) decision on the participation of Russian athletes in the upcoming 2018 Winter Olympic Games in Pyeongchang. This was finally communicated on 5 December 2017. Having deliberated on the findings of the Schmid Commission, the IOC Executive Board decided to suspend the Russian Olympic Committee with immediate effect, meaning that only those Russian athletes who demonstrate that they had not benefited from the state-sponsored doping programme will be able to participate in the Games. Such clean athletes will be allowed to compete under the Olympic Flag, bearing the name 'Olympic Athlete from Russia (OAR)' on their uniforms. Further to this, the IOC Executive Board sanctioned several officials implicated in the manipulation of the anti-doping system in Russia, including Mr Vitaly Mutko, currently the Deputy Prime Minister of Russia and formerly the Minister of Sport. Mounting public pressure subsequently forced Mr Mutko to step down as head of the Local Organising Committee for the 2018 FIFA World Cup. Meanwhile, 21 individual Russian athletes were sanctioned (see here, here, here, and here) in December (in addition to 22 athletes in November) by the IOC Oswald Commission that is tasked with investigating the alleged doping violations by Russian athletes at the 2014 Winter Olympic Games in Sochi. The Oswald Commission also published two full decisions in the cases against Evgeny Belov and Aleksandr Tretiakov who were both banned from all future editions of the Games. 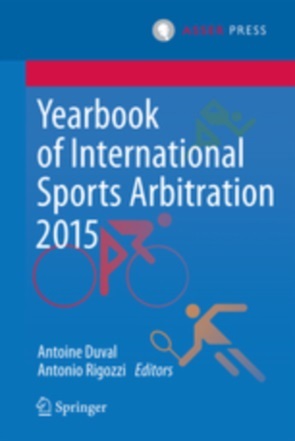 It is now clear that the Court of Arbitration for Sport will have quite some work in the coming weeks as the banned athletes are turning to this Swiss-based arbitral tribunal to have their sanctions reviewed (see here and here). 14 December 2017 was a great day for athletes all over the globe. On this day, representatives of the world's leading player associations met in Washington D.C. to unveil the Universal Declaration of Player Rights, a landmark document developed under the aegis of the World Players Association that strives to protect athletes from ongoing and systemic human rights violations in global sport. The World Players Association's Executive Director Brendan Schwab emphasised that the current system of sports governance ''lacks legitimacy and fails to protect the very people who sit at the heart of sport'' and stated that ''athlete rights can no longer be ignored''. Among other rights, the Declaration recognises the right of athletes to equality of opportunity, fair and just working conditions, privacy and the protection of personal data, due process, or effective remedy. Editor’s note: Tomáš Grell holds an LL.M. in Public International Law from Leiden University. He contributes to the work of the ASSER International Sports Law Centre as a research intern. Editor's Note: Christopher is an editor of the Asser International Sports Law Blog. His research interests cover a spectrum of sports law topics, with a focus on financial regulatory disputes, particularly in professional football, a topic on which he has regularly lectured at the University of the West of England.